You can get good treadmills for much cheaper than ever before. I review the best budget treadmills you can get. Most of these treadmills cost well under $500, they'll help you get fit either as stand-alone cardio equipment or as additional equipment for your home gym. ​Whether you want to lose weight in 2019, get fitter or just improve overall health, check our top picks updated to 2019. It's true that in the past, you had to spend over $1,000 for a decent treadmill, but that isn't the case anymore. Unless you are going to run 20 miles every single day or are training for an ultramarathon, these treadmills will do the job just fine. The word cheap may have a negative connotation, but not in the case of the inexpensive treadmills reviewed here. In fact, these treadmills have some advantages over more expensive treadmills. As a rule of thumb, the more expensive, more "professional" treadmills also take much more space. So an added bonus of the options we reviewed here is that they are small and compact even when open. These are folding treadmills, so when not use just fold it for even smaller footprint. Running or walking on a treadmill is still the most popular cardio workout. And unless you are going to run 20 miles every single day or are training for an ultramarathon, you don't need any fancy treadmills. These treadmills, as inexpensive as they are, are good enough and will do the job just fine. My recommendations are based two factors. First, my many years of experience and knowledge, and second, on ratings, reviews and recommendations from people who used these treadmills for a long time. So it would be fair to say these are worth considering. But if you want, you can jump directly to the reviews by clicking here or by clicking on one of the specific reviews below. A Treadmill that costs less than $500? YES! Do you think you need to spend a lot of money to get a good workout? Just the Features you Need – Features such as speed adjustment, safety key, adjustable incline and heart rate monitor are just what you need. All the rest of the features are nice to have, but you aren’t going to burn any more calories than the more expensive treadmills. Less Cumbersome – The more expensive treadmills usually take up more space and weight a ton. If you don't have much space, a less expensive folding treadmill can fit into a spare bedroom or den with better ease than the larger models. This leaves you more space to add some free weights, yoga mat or a T.V. Easier to Assemble – The more expensive treadmills may be harder to assemble than cheaper treadmills. For example, you can assemble this low cost treadmill in less than 30 minutes. When buying a cheap treadmill you can compromise on features but try not to compromise on build quality. Don’t be in a rush to go out and buy the first treadmill that you see. Take just a couple of minutes to read what’s critical. Running Surface – Whether you walk or run, the deck should feel stable and firm. It should also provide enough cushion to alleviate knee and hip discomfort. A running surface (tread belt) that is too thin or too short would make running inconvenient. Treadmill Usage – Take into account how many people will be using the treadmill, and the amount of time spent on it each week. Whether you’re training for a race, looking to lose weight, increase your walking distance or get into shape, you need to determine a primary usage for the treadmill. If you only intend to use it for walking, a dedicated walking treadmill will perform better. Space and Storage – Most inexpensive treadmills are compact, if you’re limited on space, a fold up variety can prove useful for your living space. It should also be lightweight to move around if needed. Reliability and Warranty – Over time, your treadmill may need to be serviced, especially if you use it consistently, that's why it's a good idea to choose a brand name that has been for awhile. Weight and Motor Size – Pay attention to the weight capacity and motor size as the treadmill can get bogged down if you’re over the weight capacity limit. Big men and women may want to check treadmills with high weight capacity, as these can support a person up to 400 lbs. You can find the best treadmills for a heavy person here. Second-hand Purchase – Although buying a second-hand treadmill may seem like a cost-effective deal, you’re not going to know its past history such as usage, repairs, and condition. Generally speaking, treadmills is the one equipment where I advise against buying used. So now that you are an expert in treadmills, well.. kinda.. because what you have read up until here is the most concise information on low-cost treadmills you can find. The Weslo Cadence G 5.9 Treadmill folds to save space when not being used. It has two-position adjustable incline, six workout programs and cushioning to make walking and running more comfortable. The Weslo Cadence G 5.9 Treadmill stood the test of time and customers. The Weslo G 5.9 treadmill is our top choice if you are looking for a running treadmill for under $500. Prices change all the time, click here to check the current price on Amazon. However, if you are looking for a walking only treadmill, we strongly recommend the Exerpeutic TF1000 Walking Treadmill (you can read its review after this one). Exerpeutic TF1000 Walk to Fitness Electric Treadmill is the only treadmill reviewed here that is for walking only. Like the other treadmills reviewed it is foldable to save space and have an adjustable two-position incline. Let me start from the end, this is hand down the best treadmill for walking purposes. If you only intend to do walking that's the one to get. You might think why would I need a treadmill that I cannot run on, well if you do need it for running that isn't the one for you. But for walking this treadmill shines! It has been optimized for walking, and let's face it, many people buy a treadmill for running but end up just walking, and there's nothing bad about it. You can use this treadmill for walking or fast paced brisk walking (up to 4 miles per hour or 6.5km/h). It's rated for users up to 400 pounds, so this is suitable for a heavy person. A major advantage is its wide belt. This mean the surface on which you walk on is much wider than most other treadmills. 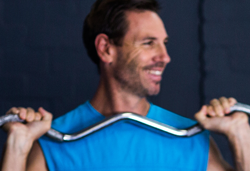 The treadbelt is 20" wide, that's just as wide as the treadmills in commercial gyms have. So it feel more comfortable and natural to walk on and also much safer. This treadmill also features very long safety handles with heart rate sensors that are more accurate than thumb only HR monitors. The Exerpeutic TF1000 Treadmill is the perfect treadmill for walking. It has a better warranty than others in the price category, wider deck for walking which is as wide as in commercial treadmills, extra long safety handles and a quiet motor. advantages of the Exerpeutic far outweigh any minor flaws. The Exerpeutic TF1000 is the best treadmill for walking or brisk walking purposes. Yes, you read that right. If I could use a cheap manual magnetic non-motorized treadmill, I am sure any of the motorized treadmills reviewed here will be good enough for getting fit. It was a long time ago, I didn't have much money or free space so I got myself one of these cheap magnetic manual treadmills from the home shopping channel. I used it only for walking, almost on daily basis. I once walked for 3 hours straight (don't ask me why) and it survived! All I am saying is that you don't need to spend a fortune on a treadmill. A basic treadmill like the Weslo Treadmill for running or the Exerpeutic TF1000 for walking will do the job just fine. Sunny Health & Fitness is no stranger in the home exercise and cardio equipment. Sunny makes several models, however we like the SF-T4400 the most because it gives excellent value for money. In fact, although Sunny makes more expensive treadmills, the SF-T4400 model is their best selling one, so much that they decided to omit the model name alltogether and simply name it the Sunny Health & Fitness Treadmill. The first thing you'll notice about the Sunny Health & Fitness Treadmill is its large fancy panel housing a large LCD, buttons to control the built in 9 workout programs, phone tablet holder and cup holders on both sides. You can choose from three incline position. Has a maximum user weight capacity of only 220 Lbs. Like the rest of the treadmills reviewed, the Sunny is foldable, though even when it's opened it consumes smaller footprint. The smaller size is an advantage for confined places but it also makes it less suitable for running, especially for taller people, due to its narrow belt. The Sunny Health & Fitness Treadmill is an all-arounder performer that is priced very low and has numerous positive reviews and great user feedback. The Weslo Crosswalk 5.2T Treadmill is unlike any other treadmill reviewed here. It is the only treadmill that kind of an hybrid between a treadmill and a cross-trainer. The arm bars provide added resistance to your exercise program so you can get a more intense workout burning more calories. If you are looking for something that goes a little bit beyond a traditional treadmill, this is a great choice. The cross-trainer type handles give your upper-body more involvement which makes the workout more difficult and burns more calories. You don't have to use the handles, you can just hold the handrails as you would a taditional treadmill, but it's great to have that option built-in. It's not a real cross-trainer as there isn't much control over the resistance of the handles, so don't expect too much of it, especially for such a low price. But nonetheless, it's a nice added feature to have. The Confidence Power Plus Motorized Electric Treadmill is one of the most inexpensive treadmill you can find. It is as affordable as a treadmill can get while still performing surprisinglywell for its price. It is very basic and lacks any bells and whistles so no heart rate monitor or exercise programs. It has a very small footprint, it's the most compact treadmill reviewed here. You can easily convert it into a desk treadmill by taking out the handles as seen in the video above. This is a cheap treadmill that's surprisingly well built and in our review even compared to the other higher end treadmills it's well-built. If you are a tight budget but still want a motorized treadmill, it's hard to finder a better value than this one. I don't see the lack of features as a drawback as I don't expect these for a such a low price. The major drawback is it stops after 30 minutes, probably to prevent engine overheating, but some users say you can just restart it and begin again almost instantly. Another drawback is the narrow tread belt which makes it inconvenient for tall or big people to use. I would say it's more for walking than it is for running. If you need a walking only treadmill and have a higher budget I highly recommend the Exerpeutic treadmill also reviewed, if budget doesn't allow it, get this one. The Confidence Power Plus have a track record of being highly reliable with good overall customer satisfaction. This is a decent treadmill for its price, great for beginners. This treadmills is also the only the treadmill we know of that is available in three colors, black, white and even a gorgeous pink! Check the Confidence Power Plus Motorized Electric Treadmill on Amazon. ProForm has been around for a long time offering a variety of home cardio equipment like ellipticals, exercise bikes, and rowing machines. Proform makes treadmills that range from a couple of hundreds of dollars all the way up to a couple of thousands. The Proform treadmill we review here, the Performance 300i is one of company's most affordable treadmill. Despite its low price, the Proform Performance 300i gives better value than their slightly more expensive models. Bluetooth connectivity to track progress is usually a feature you only get with slightly more expensive treadmills, we were surprised to find the ProForm Performance 300i comes with built in Bluetooth. You can track your progress and view workout stats using the the iFit app (iOS and Android). The treadmill is small enough that it can get through a doorway, making it very portable and easy to move around the home. The Performance 300i has the best warranty, more than you would expect for a treadmill that is usually sold for under $500. Lifetime on frame, 25 years on motors and 1 year on parts and labor. The ProForm Performance 300i packs more features than the others and its exceptional warranty will give you a peace of mind. BEST﻿﻿﻿﻿﻿ FOR RUNNING - Weslo Cadence G 5.9 is the most popular sub $500 treadmill. It has a track record of reliability, especially considering its low price tag. The Sunny Health SF-T4400 is our runner-up choice, it's almost identical to the Weslo in all aspects. BEST FOR WALKING - Exerpeutic TF1000 is the only treadmill that here that's for walking only. Sure you can walk on any running treadmill, but the Exerpeutic was specifically designed and optimized for walking (and brisk walking). So if walking is your thing, this is hand down the best treadmill for walking. It has a powerful engine and is the only treadmill that can support a person with a weight of to 400 pounds (180 kg). FOR MORE INTENSE WORKOUTS - Weslo Crosswalk is a hybrid between a treadmill and a cross trainer. It contains the addition of cross trainer-like handles that allows you to work out your upper body at the same time. You can get a slightly more intense workout on the Weslo Crosstalk than you would on other treadmills. 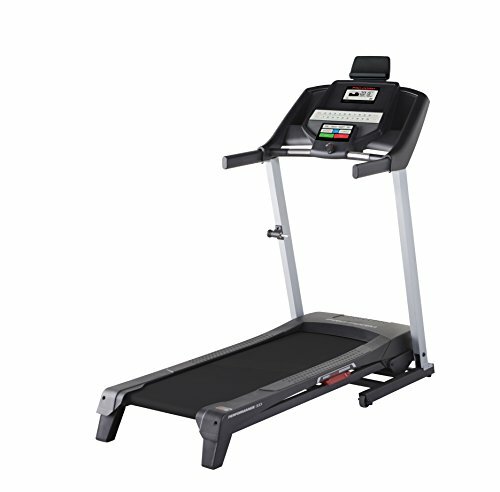 BEST ULTRA LOW BUDGET - Confidence Power Plus is a cheap treadmill that performs surprisingly well and much better you would expect. Simply put, you won't find any better treadmill at its price point. Are These The Best Treadmills in The World? ​Well, let's be realistic, you can't compare a budget treadmill that costs under $500 to ones costing $1,500. That not a fair comparison. Would you compare a Ferrari to a Toyota? I don't think so. That said, all of the treadmills reviewed above give excellent value for money. You'll get a good workout and burn fat just as well as you would on more expensive treadmills. So When Do You Need a More Expensive Treadmill ? Although you can get just as good of a workout with a cheap treadmill, there are some instances when you may want to consider purchasing a more expensive treadmill. You Are More than Slightly Overweight – The whole point of a treadmil for many is to try to burn some fat while keeping your heart in good condition. But if you weight too much and especially if you want to do brisk walking or even running on the treadmill, a more expensive treadmill will provide better cushioning to better protect your knees from impact. You Are Very Tall – Very tall people may feel more comfortable running on a longer length belt. Especially if you would also like to do running, in which case your steps would be even longer. This ProForm Pro 2000 Treadmill is an excellent choice for tall people because it's belt is same as in commercial treadmills 60"L and 22"W giving a lot of room for your long legs. I've seen tall people using budget treadmills just fine, but serious tall runners will feel more comfortable on wider and longer belts. You Plan to Run a Lot – It's true you can also run on the less expensive treadmills, but the longer you run or the heavier you are, a stronger motor will last longer and better shock absorption will better protect your joints. Generally speaking for serious running, higher end treadmills are more recommended. You Are a Fast Runner – If you are a serious runner opt for ones with a speed of at least 8-12 miles per hour (13-19 Km/h). Some of the lower cost ones can go to even up to 10 mp/h but they are not designed to be used at that speed for a long duration, they can become shaky and shocking absorption becomes more important. More Reliable - They are built better, have extended warranty and are more likely to last longer. Stronger Motor - Can withstand faster running and heavy users for a longer period of time. Wider & Longer Treadbelt - More freedom while walking/running, especially for big or tall people. Better Shock Absorption - More protection for your knees against injuries, especially when running. More Built-in Programs - Some come with hundreds of programs or let you download more from the internet. Longer Lasting Belt - Have less wear so require less frequent replacements.